It was colorful last May when we had a Sunduan festival here at our place. These are our town's beauties parading in the streets in the middle of the scorching heat of the sun. Look at their lovely gowns made by our own local designers too. Aren't they pretty? 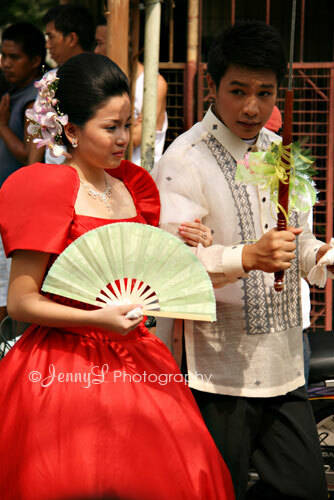 SUNDUAN - Sunduan is an old Filipino fiesta ritual that pays tribute to the Filipina's unique Asian beauty. This is participated in by the muses and escorts of the town's different communities. These muses are then fetched by their escorts with the town Mayor accompanying them from the farthest end of the town to the festival site.